Despite the weather a sizable group of MDEG members and friends were joined by locals at the Drip on Sunday 8th October. We were pleased to see the work the National Parks have done to the car park and picnic areas and to the walking paths and lookout. The Drip is certainly more accessible. Sadly we discovered that the new sign in the picnic area is inaccurate. 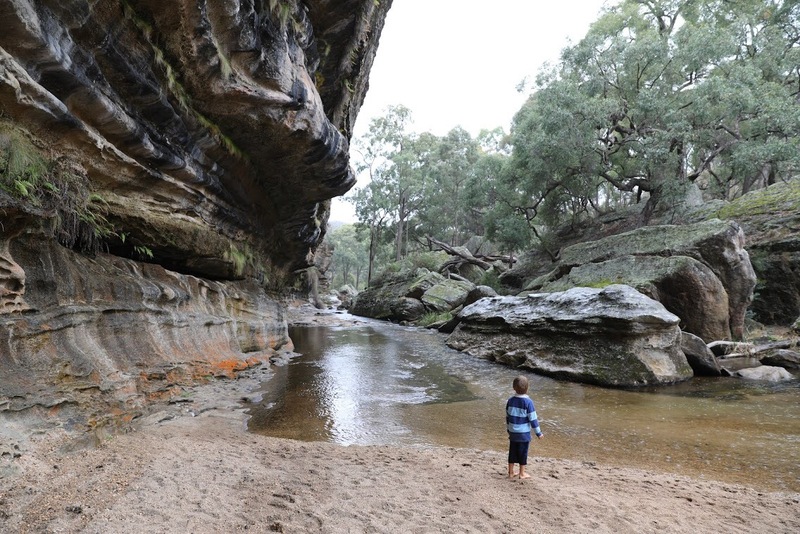 It gives the impression that the National Park extends south of the Goulburn River, to the road and all the way to The Drip. This land is in fact Moolarben Coal Land. Long wall mining has been approved to go ahead south of the river. Most of the land up to The Dripping Wall itself, at this time, belongs to Moolarben Coal. When they eventually hand it back to the government it will be a State Conservation Area. This means it will be under National Park management but not a National Park. The Drip will still be at “Risk”. How can you help save The Drip?